When movie aces meet, what do they talk about? 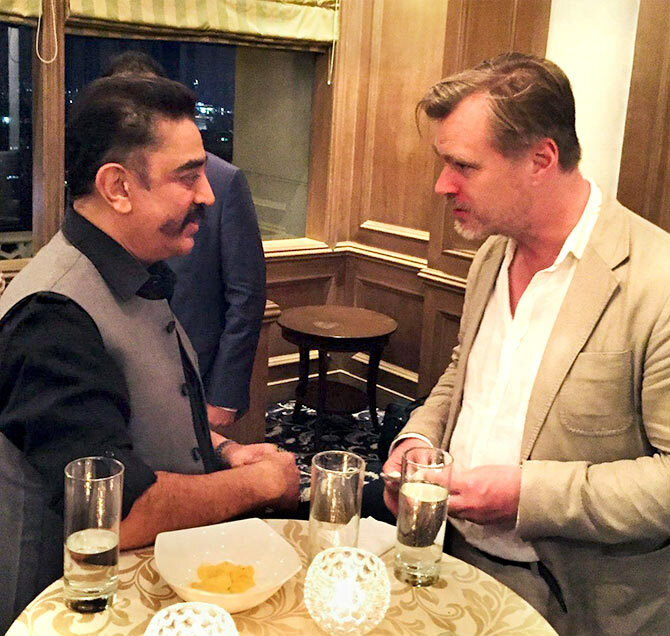 Kamal Haasan met Christopher Nolan in Mumbai and was surprised to know that the celebrated director had seen his 2015 film Papanasam. Nolan -- who has made amazing movies like Memento, The Prestige, Inception, the Dark Knight series, Interstellar and Dunkirk -- is in India on a three-day trip along with visual artiste Tacita Dean. His wife Emma Thomas -- who has produced all of Nolan's movies -- and their four children accompanied the legendary movie-maker. 'Met Mr Christopher Nolan. Apologized for seeing Dunkirk in the digital format and in return I am sending 'Hey Ram' in digital format for him to see. 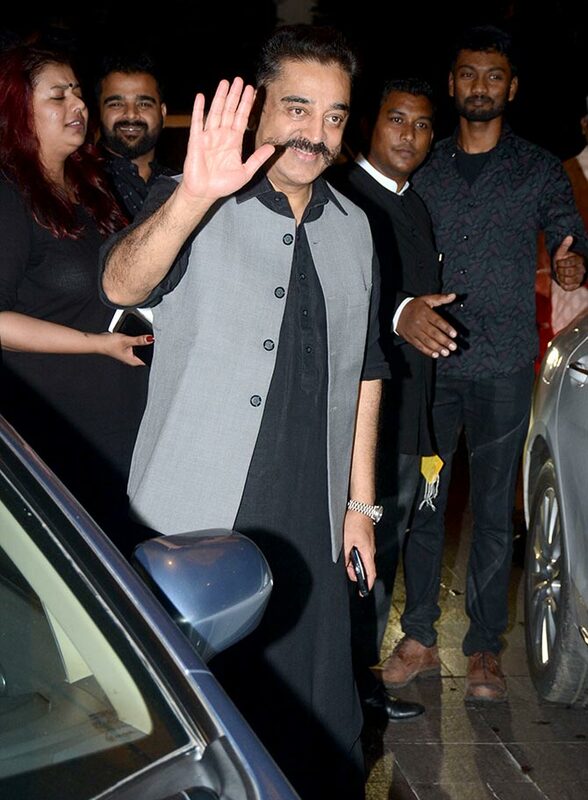 Was surprised to know he had seen 'Papanaasam',' Haasan tweeted, alongside a picture of himself with Nolan. Filmmaker-archivist Shivendra Singh Dungarpur, who is hosting Nolan in Mumbai, hopes the director's trip to India will draw attention to the cause of film preservation and restoration. 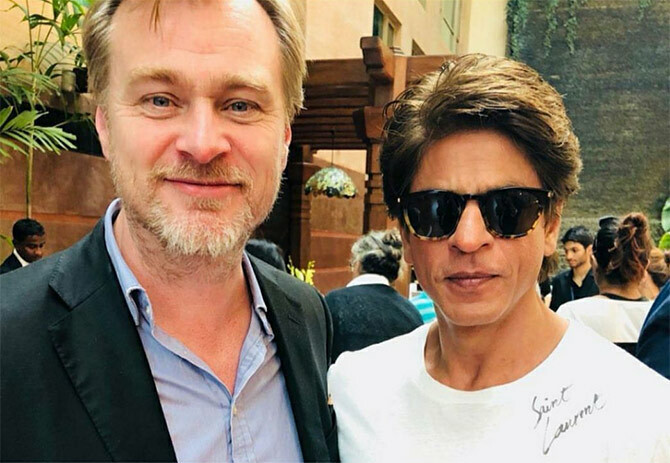 After Nolan deliveres a lecture on Sunday, he will take part in a discussion with prominent Indian movie folk like Amitabh Bachchan, Shah Rukh Khan, Kamal Haasan, Shyam Benegal and others. Disha Patani's dishy Baaghi looks!